Indonesia's Go-Jek launched a trial version of its ride-hailing taxi app in Singapore Thursday, ahead of a full entry planned early next year as it aims to take on market leader Grab. Go-Jek is in the middle of a $500 million expansion plan beyond its Indonesian base with a focus on Southeast Asia, and has recently introduced services in Vietnam and Thailand. It operates a fleet of motorcycle taxis, private cars and other services—from massage and house cleaning to grocery shopping and food delivery—available via smartphone, although the Singapore launch will only offer car taxis. "Today marks the journey for us to be in Singapore so we are super excited, super humbled," Go-Jek president Andre Soelistyo told reporters. The Singapore market has been dominated by homegrown tech firm Grab since it bought US-based rival Uber's ride hailing and food business in Southeast Asia earlier this year, ending a bruising competition. In return Uber received a 27.5 percent stake in Grab. Singapore's anti-monopoly watchdog fined both Grab and Uber for breaking competition rules during the merger. Soelistyo said Go-Jek's arrival would help to ensure "healthy competition". Go-Jek's beta app was due to be available for download from Thursday to a limited number of customers, and will only cover a designated part of the city-state. Beta versions are used to test and gain feedback from a restricted number of users before full service begins. Go-Jek has partnered with Singapore's biggest bank DBS, hoping to tap into the lender's customer base to drive market share, and offering benefits to its customers in return. 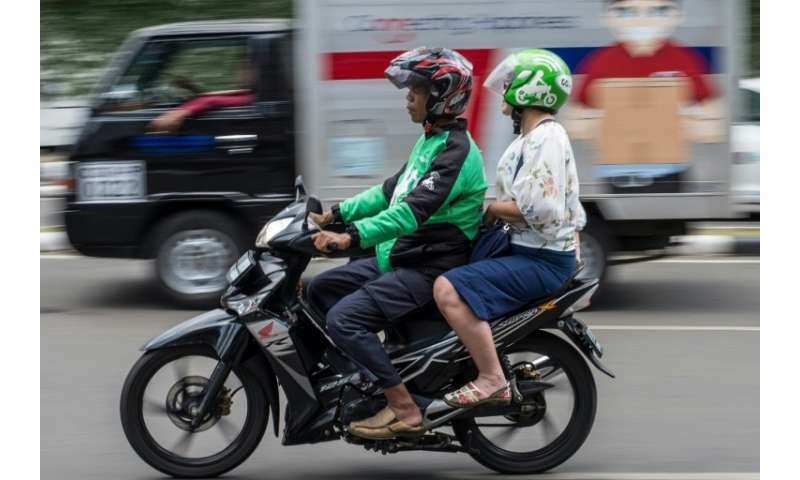 Go-Jek has won financial backing from investors including Google, Singapore's sovereign wealth fund Temasek and Chinese internet giant Tencent.